The debut of the German lion cub MAN TGE with a total weight of 3.0 to 5.5 tons was very convincing. The product line consisted of an all-metal van, half-glazed combi, a passenger minivan and a chassis with a single and double cabin. Trucks have front, rear or four-wheel drive. They are available with two wheelbases (standard and elongated), three roof options (normal, high and extra-high), three length options. The distance from the front to the rear bumper at the closed wagon can be 5983, 6833 or 7388 mm. The height of the car in the factory version is 2340, 2575 or 2800 mm. The maximum download volume can reach 18.4 cu. The MAN TGE has four power settings for a two-liter diesel engine: 102, 122, 140 and 177 hp. Any of the options are available with a 6-speed manual gearbox or an 8-speed "automatic". In addition, the new lion cub can work with a trailer weighing up to 3.5 tons. Thus, one model covers a wide range of transport applications. The Germans position MAN TGE as an ideal business solution for construction, small business and passenger transportation. A variety of applications are prepared for him in distribution logistics. To this end, a new program "Vans to go" was introduced, which was first presented in Barcelona. Its essence lies in the fact that the customer receives ready-made cars with various superstructures and equipment in the shortest possible time, and directly from the factory. The new device is RIO Box from Volkswagen Truck & Bus based on cloud technologies. This gives customers centralized access to data on the fleet and numerous services in the field of transport and logistics. 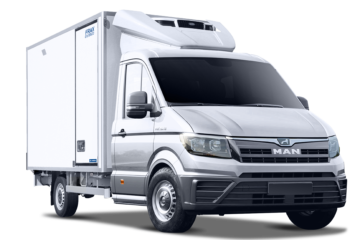 MAN TGE is completed with a new generation of 4-cylinder diesel engines - the ones that debuted a year ago on the latest generation of the Volkswagen Transporter. The manufacturer claims that efficiency, reliability and high resource were the priority criteria. With a working volume of 1968 cubic meters. cm engineers have prepared the following options for adjustments: 102 hp / 280 Nm, 122 hp / 300 Nm, 140 hp / 340 Nm, 177 hp / 410 hp The fuel consumption is from 6.7 to 7.0 liters per 100 km. Euro-6 standards are achieved thanks to SCR technology, and for the AdBlue reagent a plastic capacity of 18 liters is prepared (reagent consumption is 0.15 l / 100 km). The motor's mote on the wheels transmits a 6-speed manual or 8-speed automatic transmission that is compatible even with the all-wheel drive. A large number of steps allowed to reduce the intervals of gear ratios. In turn, this improved the overclocking dynamics and reduced fuel consumption. Transporters are offered three types of drive: front, rear and full. 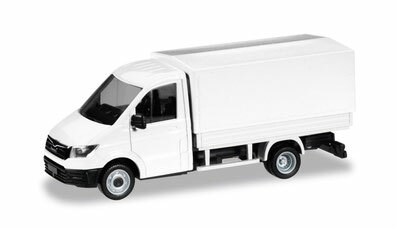 Traditional for LCV is the front: with it the customer gets the most roomy space for cargo. In addition, the loading height is 100 mm lower. The transversely installed engine and gearbox reduce the curb weight and increase the payload. As a result, front-wheel-drive MAN TGEs have a permissible total weight of 3.0 to 4.0 tons. Four tons are limited and the weight parameters of the versions are 4x4, while the carrying capacity is above the mono-drive vehicle by 1.35 tons. MAN TGE with a classic rear-wheel drive have a longitudinal arrangement of the engine and gearbox and fit into the vehicle segment with a total mass of 3.5-5.5 tons. The lightest versions of 3.5 tons have a single-wheel drive bus, and the heaviest in 5, 5 t - gable. The rear drive is especially good for working with a trailer, since it allows you to evenly distribute the load. By the way, for vehicles with a drive to the rear axle, an inter-wheel differential lock and a power take-off with a potential of up to 54 hp are available. 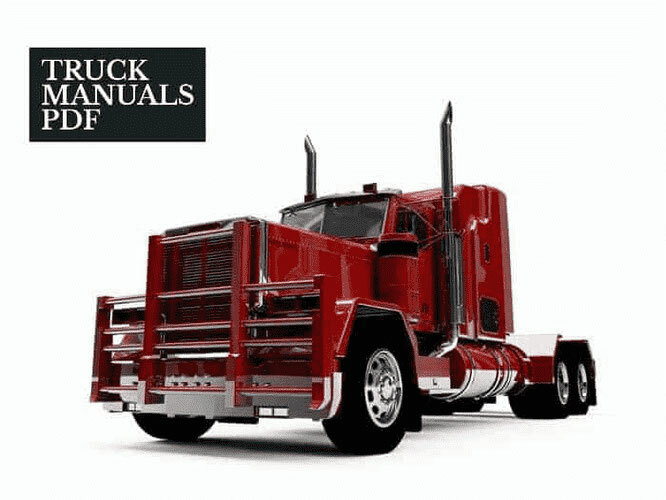 In standard equipment, MAN TGE has an electromechanical power steering. In comparison with the traditional hydraulic booster, it does not have a constantly running pump, and therefore consumes less energy. In addition, it facilitates control in a strong side wind. There is on board and the serial system of emergency braking EVA - Emergency Brake Assist. Inboard electronics, sensors are installed that control the critical distance to the inbound passing transport and help in a dangerous situation to shorten the stopping distance. For example, the City braking function automatically slows the car at low speeds. In general, the EVA system, depending on the situation, warns of a dangerous rapprochement in two stages. On the first, she informs the person behind the wheel of the sound and light signal of the threat of a collision with a slowly moving or sharply braking car or cars. Electronics brings pads to the brake discs and is preparing to immediately enter into work. If the driver does not respond, the system initiates partial braking. As soon as the driver presses the brake pedal, the braking force immediately builds up. In the basic equipment of MAN TGE there is parking assist Park Pilot. He warns of obstacles in front and behind with a sound signal, but in some cases it is not enough. I, for example, constantly lacked control of the right front corner of the car, especially when maneuvering at a low speed in the parking lot and at high speed in the mountains with closely spaced rocks and bumpers.